Popped into Dave’s Comics in Brighton, where the legendary Gilbert Shelton was signing books. Or rather drawing in them, and then signing. I was there to score a copy for my pal Anton. 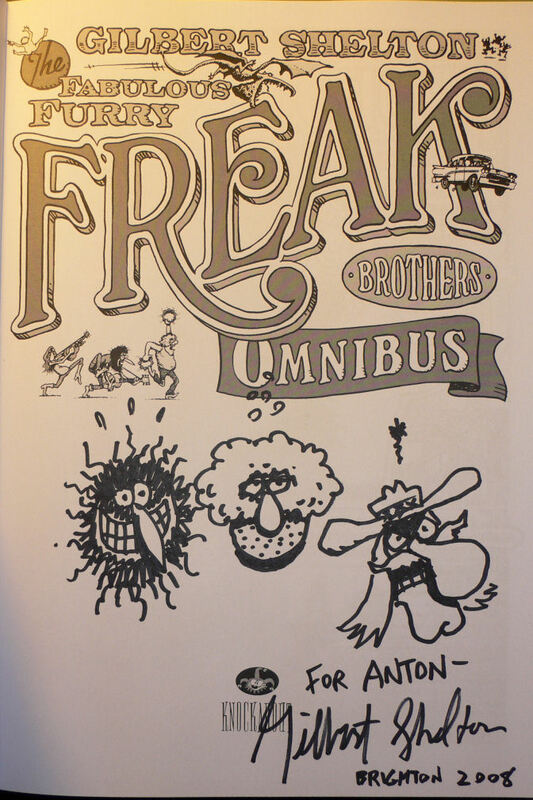 I really enjoyed talking to Gilbert as he drew the Freak Brothers in the Freak Brothers Omnibus book jacket for me. I told him that when I was at university I’d engaged in competitions of trying to draw Fat Freddy’s Cat, and thought the secret was in the nose. He said that if you looked carefully you could see the cat looked different in every picture. He told me he got the idea of Fat Freddy’s cat from an old cartoon called Mutt and Jeff, which had a spin off strip called Cicero’s Cat. He also said that for him the drawing wasn’t as important as the story. A very nice man, who took time to talk, and a privilege to meet him for a couple of minutes. 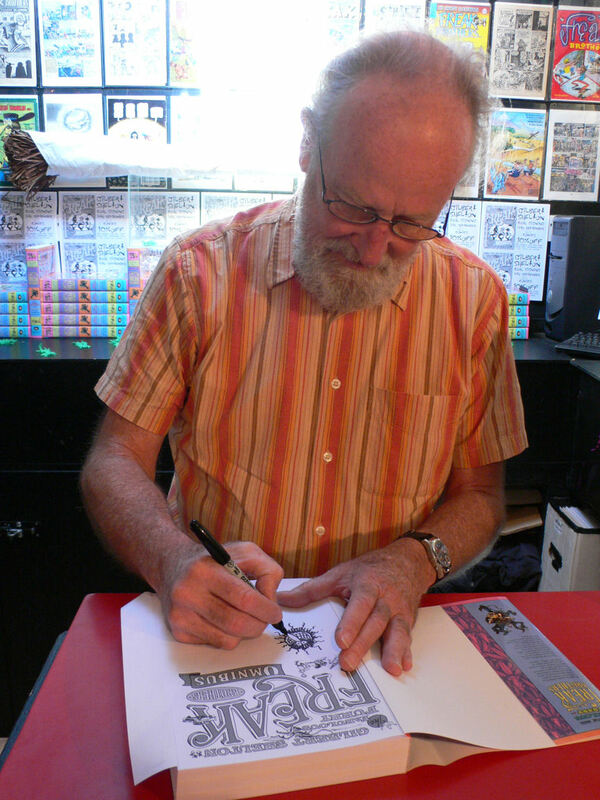 Below Gilbert Shelton drawing the Freak Brothers in the book. And the result. This entry was posted in Uncategorized and tagged Brighton, Cicero's Cat, Dave's Comics, Fat Freddy's Cat, Gilbert Shelton, Mutt and Jeff. Bookmark the permalink.